Dubai, UAE, September 20, 2018: O Boticário, the largest cosmetic franchise in the world, opens its doors for the first time in the Middle East this Saturday at Mirdif City Centre. 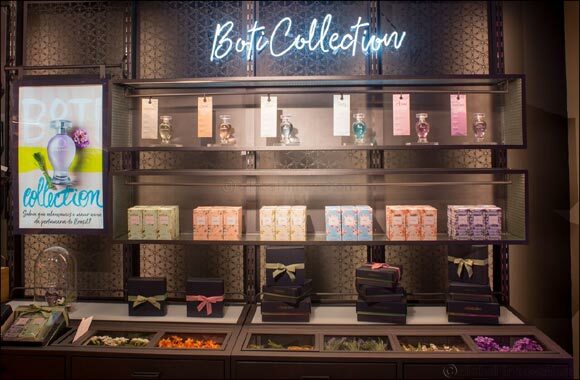 The company was inspired through the true story of O Boticário’s founder, who more than 40 years ago, began to mix natural ingredients to produce beauty products in a small pharmacy in Curitiba-Brazil. Today, the brand’s products are a result of the alchemy of unique and exotic ingredients, such as quinoa grains and lily extracts. For example, the exclusive artisan process of ‘Enfleurage’, an ancient perfume extraction process used by very few perfume producers today, is used to extract the essential oil from lilies in order to produce the main ingredient in the Lily line. Brazil Super Model Gisele B�udchen is a fan and the face of their Make B campaign. O Boticário is a cruelty-free brand and invests 1% of revenues in forest conservation. It’s the most admired beauty company in Brazil with a 6% market share in Latin America and The United Arab Emirates will join the company of over 4,000 global stores with a product offering of 480 best-selling SKUs out of the 1,200 items available worldwide across various categories including fragrance, color cosmetics, body care and haircare. This Saturday you can get up close and personal with some of Brazils biggest Instagram celebrities, be in the chance to win 1,000 Dhms worth of prizes and the first 80 customers get an exclusive Eco Tote! O Boticario opens at Mirdif City Center.